Kefalonia is a fairly quiet island with beautiful scenery, ideal for relaxing holidays. Nightlife options on the island are few, but very enjoyable and fun. There are some nice modern discos and clubs in Kefalonia to enjoy a drink and dance all night long to hit tunes, pop, rock, reggae, hip hop, Greek music and many more. Most Kefalonia clubs are concentrated in the capital of the island, Argostoli, and the cosmopolitan seaside village of Fiscardo. Vibrant Kefalonia clubs with loud music and exciting atmosphere are also found in the developed resorts of Sami, Skala, Lixouri and Poros. 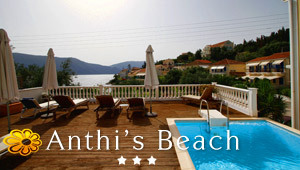 In summer, there are also all-night theme parties in famous beaches around Kefalonia. Here are some clubs in Kefalonia. Each club is presented with detailed text, photos and point on Google map. If you have visited any of these clubs, feel free to write your review. All request forms go directly to the club manager so that you can make a reservation in person or ask them any question. Bass Club is one of the main entertainment spots on the island located in Argostoli Kefalonia. After midnight the cafe transforms into a live club with non-stop mainstream dance music, Greek and International hits.